Agile project management is a proven approach for designing and delivering software with improved value to customers. Agility is all about self-directed teams, feedback, light documentation, and working software with shorter development cycles. The role of the project manager with agile differs significantly from traditional project management in that there is minimal up-front planning. 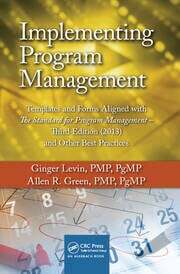 Agile for Project Managers will help project managers from any industry transition to agile project management. The book examines the project management component of agility, concentrating on industry standards, certifications, and being agile. It also compares agile methods to traditional project management methods throughout to provide readers with a clear understanding of the differences between the two. 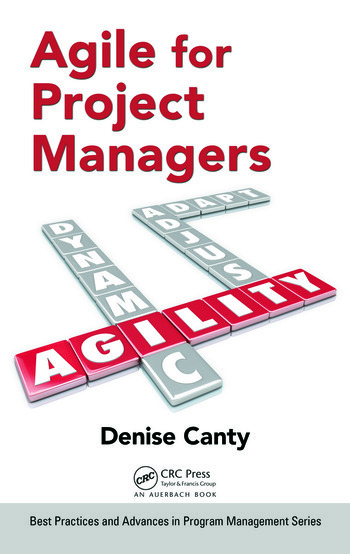 The book provides readers with the understanding required to decide which projects will benefit from agile. It also includes information that can help readers to assess their organizations’ readiness for agile methods. 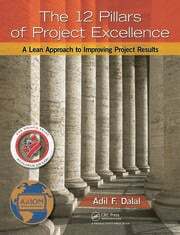 Complete with a list of agile training providers, the book will help certified project managers make a smooth transition to agile project management and will provide newcomers with the basic knowledge needed to pass the PMI-ACP® exam, the first time around. Senior Agile Program Manager Consultant, Cenden Company Inc.
Canty has over 20 years of experience in information technology. She has resided in the Washington, DC metropolitan area since 1986.